Cracked iPad Screen? DIY to the Rescue! If you’ve ever had the misfortune of having an iPad screen crack and have your Apple Care or warranty run out, there is an alternative. 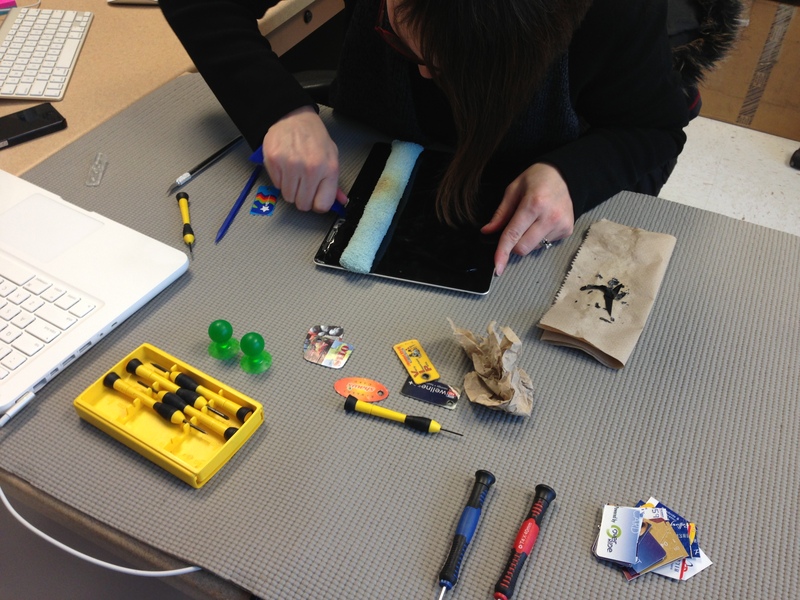 For around $50 or so, there are screen repair kits available. Seems simple enough, right? I must preface- this type of repair is not for the faint at heart. This is a task that requires a lot of patience, a little bit of OCD, the proper tools, and the finesse to repair such a delicate item. Luckily, our K-5 Building Coordinator was willing to take on the challenge, and was able to replace the screen good as new! Below is a visual representation of the steps to repair the cracked screen. This works well with smaller, more confined cracks. Shattered screens are probably best left for the experts. 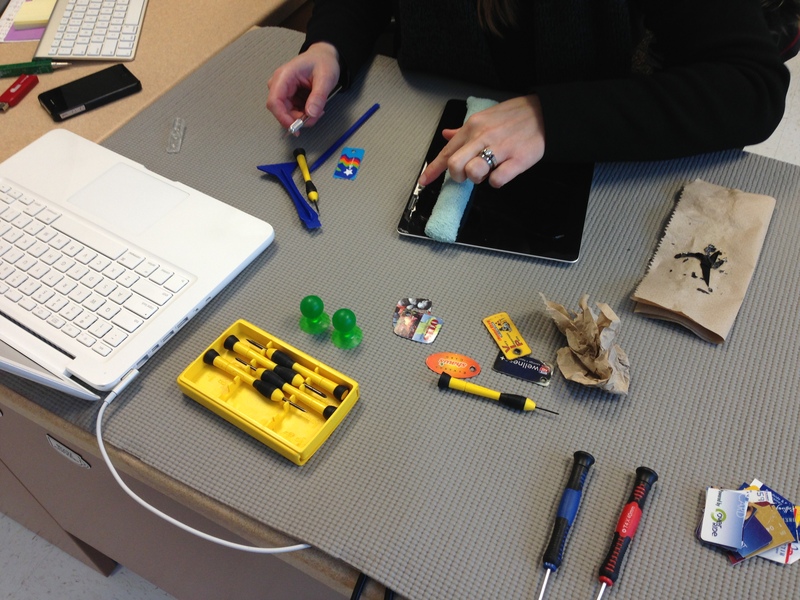 The iPad repair kit comes with the screen, adhesive, and an activator to take off the existing glue from the screen. Use the enclosed microfiber towel to remove the glue. It must be microwaved- but be careful to not overheat it, or it will burn and smell pretty gnarly. Patience is a must during this step. Once the adhesive loosens from the heat-activated agent, take an exacto knife, (or in our case, cut up credit cards) to lift the existing screen. This step is not fun, and took our tech quite a while- well over an hour. Ince the screen is removed, the rest of the steps are relatively easy. 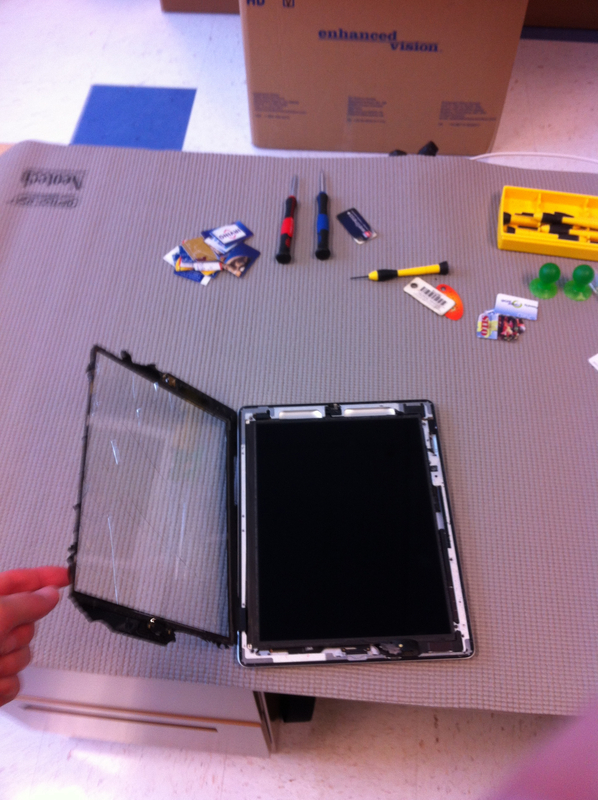 Then it’s time to place the new screen onto the ipad. There is a degree of finesse that is required here – as well as good visual spatial skills to line up the screen properly, and apply the adhesive carefully to not damage components. Viola! 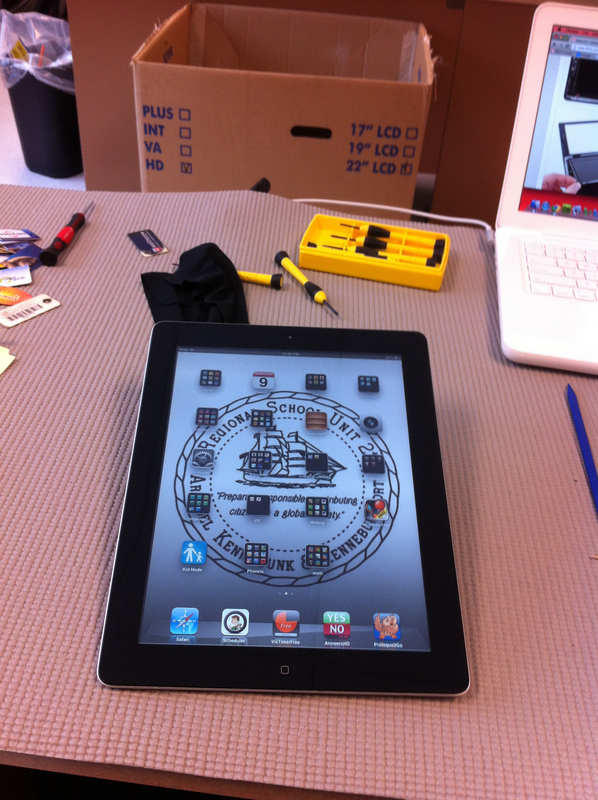 A new iPad screen for $50. However, this doesn’t take into account the labor that other companies would charge to fix such a screen. 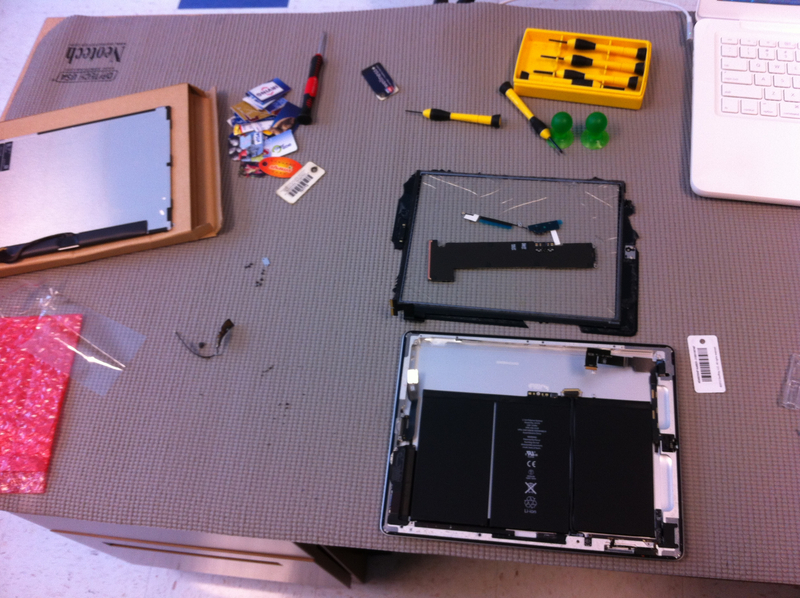 If you have a robust IT Services department, as is the case in our district, then it’s well worth the investment to learn how do tackle this delicate repair on an iPad – especially when Apple Care runs out. It’s a good alternative.